The “Amercian Dream”. What does that even mean anymore? When my dad brought my mother and myself here from Afghanistan, it meant that anyone who worked hard and saved his/her money could make a good, honest life for him/herself. Not anymore. The media and government would have you believe there is a new class category in today’s America called “the working poor.” I would argue that there has always been a working poor, however, there are more of them today than there was yesterday. But we can get into that another time. When working class people and people living below the poverty line receive money from Social Security, healthcare from Medicare, nutrition from food stamps, and other social welfare benefits, the conservatives and the rich would would have you believe that they are receiving so-called “entitlements”. As in, “How dare those dirty poor people think they are entitled to MY tax dollars? ?” Let’s be clear, Richie Rich, poor people are responsible for paying Uncle Sam from their meager little check, too. I get paid on an hourly basis. If you ask me to work 45 hours this week, not only are you legally required to pay me my regular salary, but now you have to add 5 hours of time-and-a-half to my paycheck. You needed the work to get done, but now you’re stuck paying me more money. Money I really needed. Boo-hoo for you. 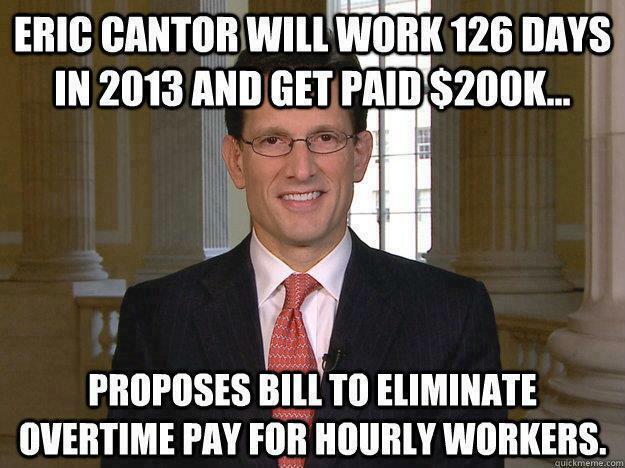 I propose that politicians get paid hourly. Ok, maybe it doesn’t go down exactly like that, but you get the point. There are a lot of questions surrounding H.R. 1406: whether it is the employer or the employee who gets to decide when that extra time is taken off, under what circumstances, and whether the employee really will get the right to choose between overtime pay or overtime time off. With the economy the way it is, a lot of employees feel the pressure of keeping the jobs they do have. They are constantly reminded, whether explicitly or not, by their bosses that there are literally hundreds of people lined up for your job if you’re not satisfied with it. I’m just going to put it out there: Yes, employees are entitled to receive proper compensation for their time, skills, and labor. And yes, I do think taxes are the cost of living in a civilized society. And yes, I do think that when you fall on hard times, one of the benefits of citizenship is that your government helps you out a bit. I’m not talking about buying you a mansion to live in and a Mercedes to drive you there. But I’m talking about providing you with healthcare, food, and safety. Have you been to the projects in any city? 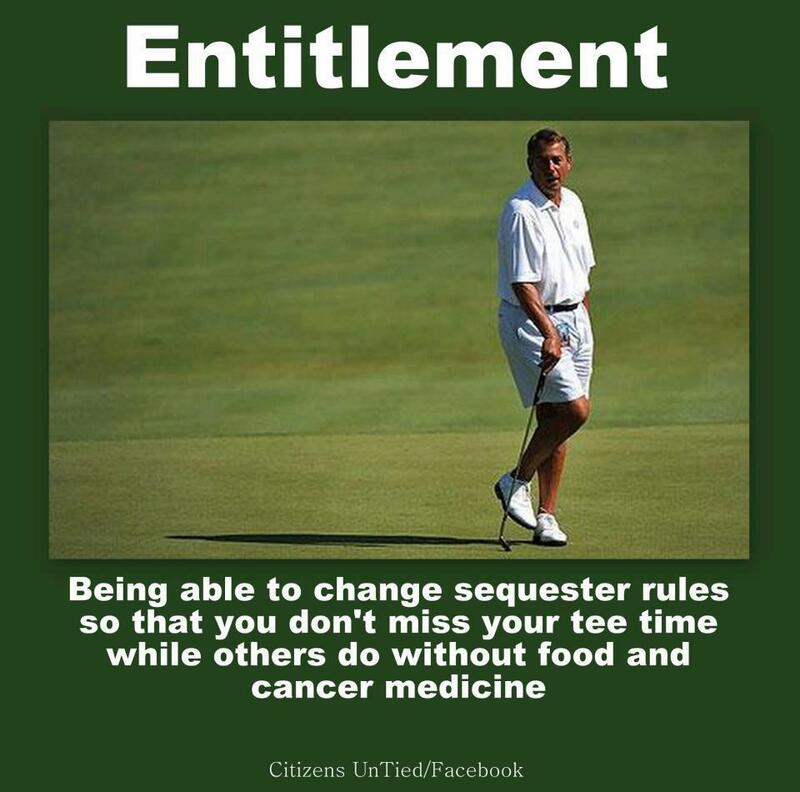 If you want to call that an “entitlement”… I don’t know, maybe you just need a new dictionary or something. Maybe you’re finding it hard to sympathize with me here. I get it. Even the media are having a hard time sympathizing with the poor… although, I’ve got to hand it to them, they sure are trying. Check out all of these sad sacks all bummed out about their taxes going up. How will they ever survive on their meager salaries??? 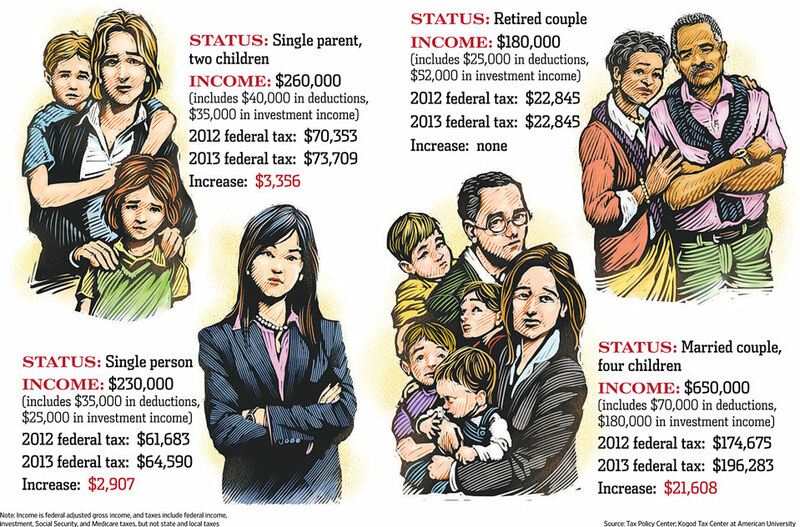 Graphic is from The Wall Street Journal in an article that ran on January 4, 2013. This entry was posted on May 10, 2013 by Zohra. It was filed under Newsworthy and was tagged with current-events, entitlement programs, Entitlements, overtime, political rant, Politics, social welfare, working class, working poor. It’s called “entitlements” because that’s what it is — ppl who think they’re ENTITLED to other peoples money, via ‘welfare’ (handouts taken from worker’s) SS (money forced from workers), etc. This leads to total corruption of the system (it’s intent) and the collapse of any country (as Greece, etc.) It’s based on greed and laziness. If YOU want something, work and earn it for yourself, save your money, built your future – there are NO “government” monies to give away to entitlement minded ppl — it’s ALL first taken from taxpayers. My argument for you would be 1) no one is entitled to your money; the working poor, the retirees, the disabled, etc. are not asking for your money, but for their own money which they paid into SS, Medicare, and other programs with their own tax dollars from their own paychecks. 2) It’s not that easy to get a job. I don’t know if you’ve heard, but it’s been kinda hard for people to find work lately. People with advanced degrees are jobless and struggling to find work. The mentally disabled homeless elderly man who lives under the overpass is certainly not getting hired over the recent college graduate with no work experience or the laid-off middle management 50 year old who is applying to entry-level jobs. 3) Social welfare programs are not what’s bankrupting America. It’s corrupt bankers, politicians, and corporate presidents. I mean, if you want to find a group of people who really feel entitled to your money, look no further than them. 4) I’m an American citizen. I have my BA from a very prestigious private school and a dual MA. I have worked all of my life, since I was 16 years old. I have saved. All of the income, sales, property, and any other kind of taxes you can think of I have paid, have gone to my government. My government who I do expect to provide me with protection, roads, schools, hospitals, etc. Where exactly do you think your taxes should go to? Congress’s paycheck and not back to the people? 5) I think that’s exactly how this nation was founded – People sick of being oppressed and/or seeking new opportunities, trying to make a better life for themselves and their families in a new land. 6) Like I said, I’m an American citizen. Don’t take my post as saying “Give me your damn money!”, take it as, “Stop blaming hard-working people for asking for a little help. At any moment, under the right circumstances, it could be you needing help, too.” We give corporations breaks all the damn time. Why not individuals? Oh, that’s right, because we decided corporations are people too… 7) So when you say, “Anyone hungry can go to a shelter for food” where do you think the money for that is coming from? And we already went over the point about finding a job. I’m just saying, let’s stop using the word “entitlement” with such vial disdain when we associate it with the poor and stop using it as a euphemism when we associate it with politicians and corporations.